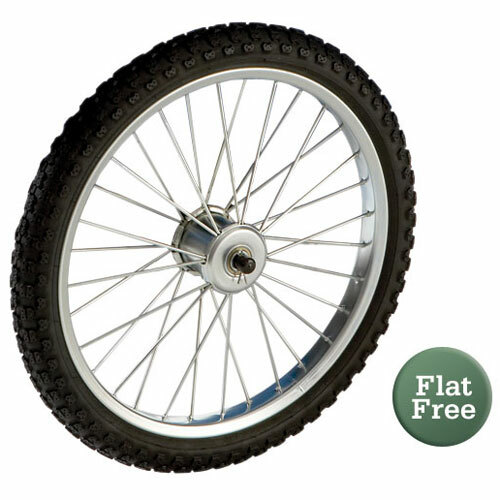 20" Puncture resistant wheel and solid tire installed. 400 lb capacity. 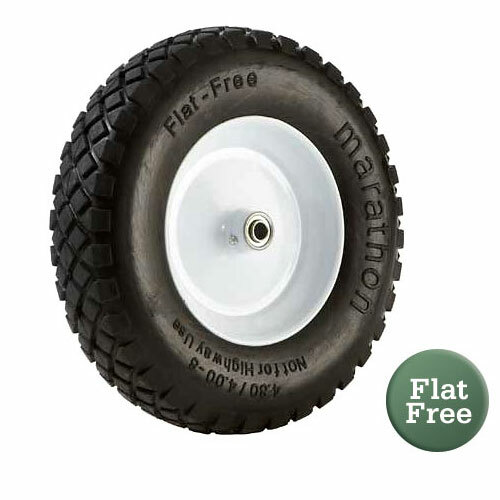 For pulling through mud or loose dirt or sand, the 16" turf tire is best. 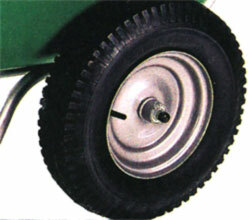 If heavy wear is likely the 16" turf tire is more durable. 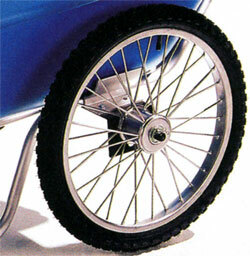 16" wheel with flat-free turf tire mounted. No tube is necessary. 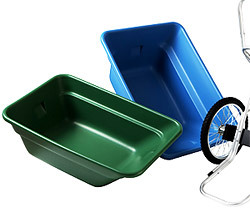 Extra Tubs for Smart Cart 7 and Smart Cart 12. Pans are interchangable. 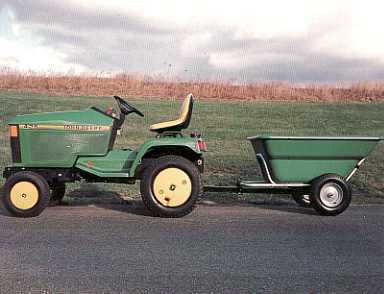 Convert the Smart Cart Wheelbarrow into a trailer-barrow by adding this optional towing attachment. Easily fitted in a few minutes (and easily removed again) it allows the Smart Cart Wheelbarrow to be towed behind a tractor, all-terrain vehicle or ride-on lawnmower. The trailer is heavy box steel construction, has a spring loaded, self-locking dump mechanism. The container can be tipped from the driving seat and latches automatically back into the towing position when lifted up after emptying. And like the garden utility cart, the trailer hitch carries the Smart Cart best in the business 5 year warranty. 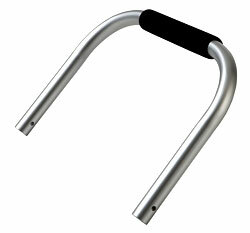 Increase your comfort and move heavier items without fear of blistering.